Can I REALLY cook a turkey when I’m on the road? The answer is yes! 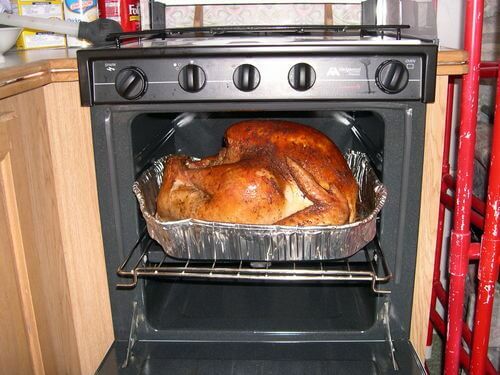 Can I cook a full-size turkey in my RV’s oven? Sadly, no. And if you have an RV without an oven, not to worry! Buy a smaller turkey. If you’re in your RV when Thanksgiving rolls around, then you are likely celebrating with a bit of a smaller crowd. A smaller turkey should do the trick. If you do have many mouths to feed, buy two smaller turkeys or cut up a bigger turkey into manageable sections that can fit in your RV’s oven to cook thoroughly. Don’t peek! A tough task indeed, but the more you open your oven and let heat escape, the less evenly your turkey will cook. Grill your turkey. Yum! And this saves room for other goodies to put in your oven. Go the store-bought route. They can taste just as delicious as one you make at home and relieve any stress about preparing and cooking a bird. Cook sides ahead of time before you hit the road and store them in the fridge/freezer. Easily reheat them when the time comes. Instant options like potatoes and casseroles might be best, too. Don’t forget about the beauty of a potluck. You don’t have to give up cooking if that is your favorite part of the holiday, but a potluck can scale back the amount you have to prepare in your RV’s kitchen. Plus, it’s the perfect chance to meet your campsite neighbors! Plenty of stores offer pre-made side dish choices as well, and who are we to say no to tasty and easy? Desserts can also be made ahead of time and put in the freezer while you’re traveling. Thaw, reheat in the oven, and you are good to go. Or take advantage of your dutch oven and try a recipe like this. Head over to FMCA’s Pinterest for more recipes! If you’re keeping your dinner small, you may be able to simply utilize your RV table or RV dinette booth. Remember that Thanksgiving in your home on wheels can be as much like a conventional Thanksgiving celebration as you want it to be. If you like the idea of keeping the meal more traditional, add a tablecloth and fresh flowers. Use pretty plastic or china dishes instead of the typical disposable plates you may use while RVing. If you’d like your celebration to be a little more outside the box, the best way to have an RV Thanksgiving is to embrace the outdoors. 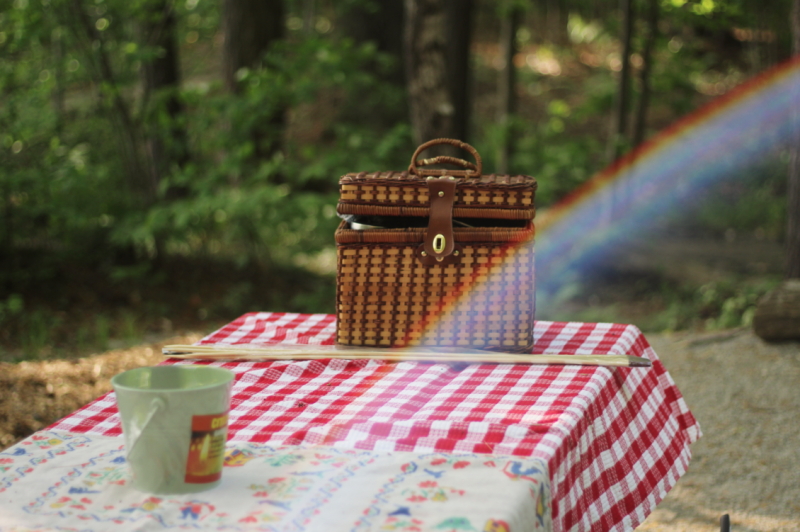 Spread your meal out on picnic tables. Bundle up if the weather isn’t nice enough. Blankets and fresh, fall air. How cozy! And, we have to mention — choose your campground wisely this Thanksgiving. First, remember Thanksgiving is a popular holiday for travel. Some campgrounds may book quickly. Make your reservations in advance. Furthermore, what’s that saying? Many hands make for light work. 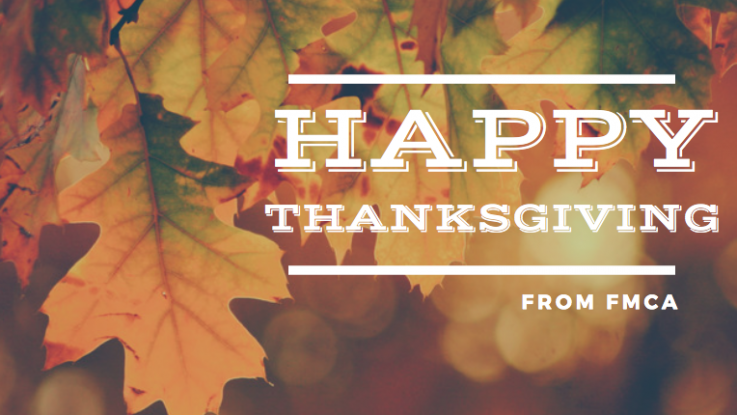 Consider making a reservation at a campground that will be a hosting a community Thanksgiving dinner. Or, maybe, this is the year that you forgo any Thanksgiving plans and serve as a family at a local food pantry. Lastly, give thanks. If you are lucky enough to be traveling with loved ones this holiday, you are lucky enough. 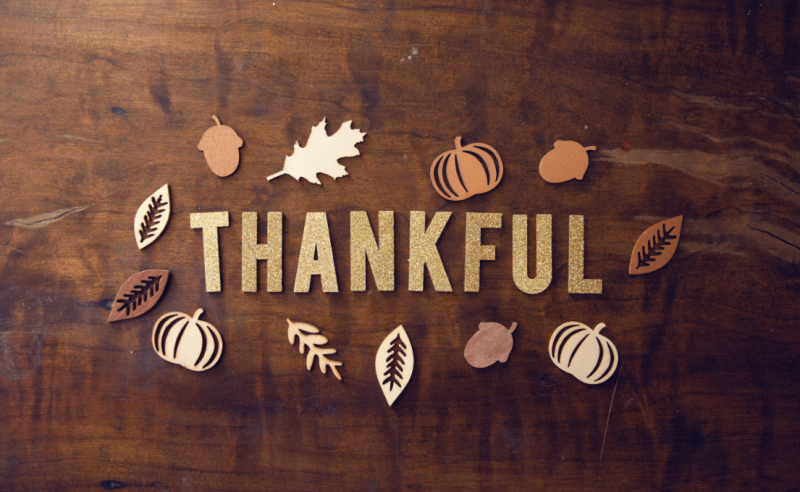 What is your favorite Thanksgiving tradition? How do you celebrate holidays in your RV? Comment below.